Starting the 9th of September the US-based startup Forecheck LLC GmbH will start a crowdfunding campaign for the new award winning SEO and Website Analysis Software Forecheck at Indiegogo. A preview of that campaign is available here. This is a temporary link, the official link will be http://igg.me/at/forecheck as soon as the campaign is released. Forecheck is a new, innovative Search Engine Optimization (SEO) tool. It does not only analyse very big web sites with more than 1,5 million URLs but also support all languages and codings world wide. Forecheck has won a German innovation award in 2013, even it was an early beta version. Forecheck was also nominated for the best SEO tool at the European Search Awards 2014. 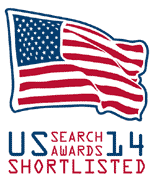 At the US Search Awards 2014 Forecheck is nominated for the best SEO Tool. The Germany company cyberpromote is a leading SEO agency in Germany since 1997 and developed Forecheck over the last years, primarily for internal use. Some beta tests and projects have been done, with the crowdfunding campaign Forecheck is available to the public. It is still a beta version but already the best and fast onpage analyzing crawler with hundreds of functions and reports. The official prices for Forecheck start at $ 49.- per month. There are four different versions available and yearly subscriptions too. All versions and prices can be seen at www.forecheck.com/shop/. During the crowdfunding campaign the licenses are up to 65% cheaper than the official prices that are effective after the campaign. All backers will get a license key within 24 hours after they paid their chosen perk. Please find more information about Forecheck at www.forecheck.com. For more information about the software, the crowdfunding campaign or the people behind that project please read more about us or contact us.